Does Your Winter Party Need a Spruce? If you’re the host for the winter party year after year, we completely understand tiring of the same decorations and small-talk parties. If you’re on a budget or are in need a change of style while keeping the spirit of the season, we’ve put together some ideas to bring your friends and family together without breaking the bank, and maybe creating a new tradition! Boil orange and clove on the stove to give your home a nice scent. Use the money saved by not purchasing scented candles to get extra marshmallows for a gourmet hot chocolate bar. Plan for a gift exchange so that each guest has to buy only one gift within your group of friends. Simplify the evening with a potluck style dinner. Decide on a themed menu to get everyone’s creativity flowing, you provide the main dish, and have your guests bring a side dish or dessert. Everyone saves a little on the groceries, and maybe you’ll find a new holiday favorite! Sometimes, the best gift you can give over the holiday season is spending time together. Try hosting one of these types of parties to liven up your winter. A pie party – Each guest or family brings one ingredient of a pie: crust, fruit, or other filling. Everyone works together to peel apples, line pie tins with crust, and mix fillings on the stove. In between steps and while waiting for the final pies to bake, you have plenty of time to catch up and chat. Plus, at the end, everyone gets to take home a delicious, homemade pie! A tree trimming – Set up your tree prior to your guests’ arrival with the lights on, but don’t add any ornaments. Take turns putting up the decorations that you’ve collected over the years. This works especially well for families or friends with older children, as you can take turns and tell stories about each of the ornaments and where they were collected. A crafting party – There are so many options for holiday crafting, why not turn one of your favorites into the main event! You can make holiday cards, bake cookies, build gingerbread houses, or decorate ornaments. You can swap these items with other attendees to remember the fun evening or gift them to a friend or family member who will appreciate a handmade holiday gift. Even though the winter months bring longer nights, your family and friends will enjoy the light and warmth in your home with one of these new party traditions. In a New Home for the Holidays? Did you move this year? The holiday season is an exciting time of year, but it can also bring unforeseen stresses, especially for new homeowners. Fear not, here are several tips to make your new house feel like home for the holidays. Make new traditions and keep the best of the old ones. If you used to hang your stockings or place your menorah in the same spot in your apartment each year, find a way to recreate these sentimental feelings in your new space and start a new tradition! 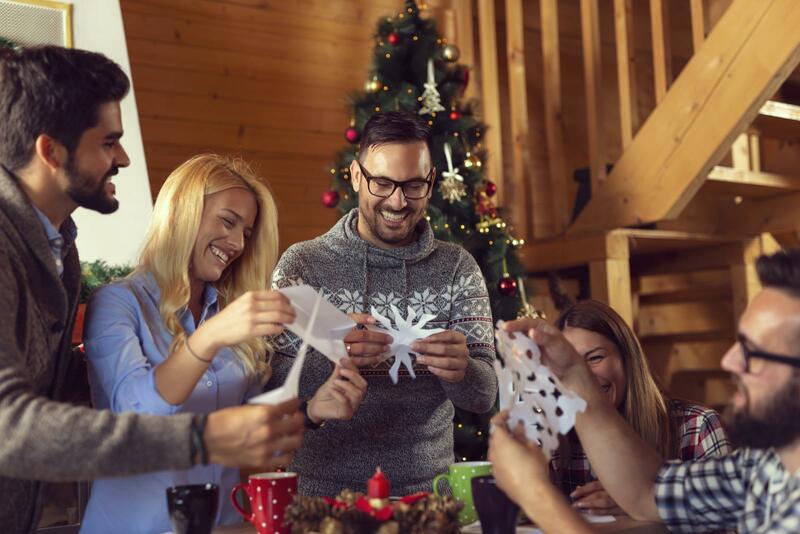 Other holiday traditions to maintain, like baking the same sweets, listening to the same songs or watching the same holiday movies, can really make you feel at home. Get acquainted with your new home. Take note of your outdoor power outlets to see if a new famous, outdoor lighting extravaganza is in your future. Maybe your old apartment had low ceilings, but your new home allows for new heights! Double check the room dimensions of your new house before purchasing a Christmas tree or festive décor so you can fill the space, and finally get that 8-foot-tall tree like Grandma always had. Learn about holiday activities in your neighborhood. If you moved to a new city, keep an eye out on social media or event boards for local holiday celebrations and wintertime activities. This is a great way to get to know your neighbors and discover something great about your new town! Pick out a new holiday decoration. If your holiday decorations are still packed in moving boxes or storage, don’t fret! Picking out one new decoration is a special way to commemorate your first holiday season in your new home. There’s always time to locate your delicately bubble-wrapped decorations for next year! Nothing makes a house feel more like a home than being cozy and warm. Unpack your fluffy blankets, candles, warm slippers or anything else that makes you love spending time in your new, comfortable space. 1. Many grocery stores have programs that allow you to buy a turkey or an entire Thanksgiving dinner to donate to a family in need. You can also donate many non-perishable Thanksgiving staples, such as canned green beans or cranberries, to your local food pantry. 2. This season also marks a drop in temperature in many parts of our country, which can be dangerous for people who are currently homeless. Go through your closets and storage areas to find gently worn shoes/boots, sweaters, coats, and other winter gear to donate to a local shelter. Also, consider contributing bulk packs of new socks, as this is an oft needed but forgotten donation. 3. Make time to volunteer at a soup kitchen. 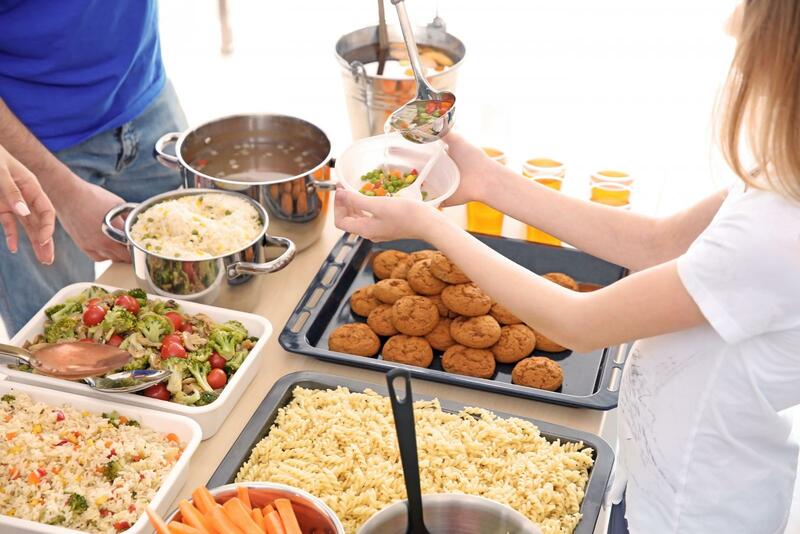 Whether it is on Thanksgiving Day or not, helping prepare and serve healthy meals is a great way to help those in your community who would otherwise be hungry. 4. Donate blood and help save a life! Go to the American Red Cross website to find out where and when in your community you can donate. 5. Don’t forget about helping the pets in your community! Contact your local shelter to see if you can spend a couple hours volunteering with their cats and dogs. 6. Run in a charity 5k or 10k race. What better way to start your Thanksgiving Day than a brisk run! See if your city or town is having a “turkey trot” or other road race to raise money for a local cause. 7. Invite someone to join your family Thanksgiving dinner. Maybe a coworker whose family lives out of state, or an elderly neighbor. Your meal will taste even better knowing that you have shared it with someone in need! 8. Help clean up your town or city. Show your appreciation for the place you call home by spending a couple hours picking up litter in public spaces or clearing leaves and fallen branches off walkways. 9. Send thank-you or thinking-of-you notes to your loved ones you haven’t seen in a while. Who doesn’t love receiving snail mail that isn’t bills or ads! 10. If you don’t have the time to donate, consider making a reoccurring, online contribution to a cause near and dear to your heart. We often post about knowing when the time is right to buy your first home. Deciding between renting and buying can be a daunting task for many. 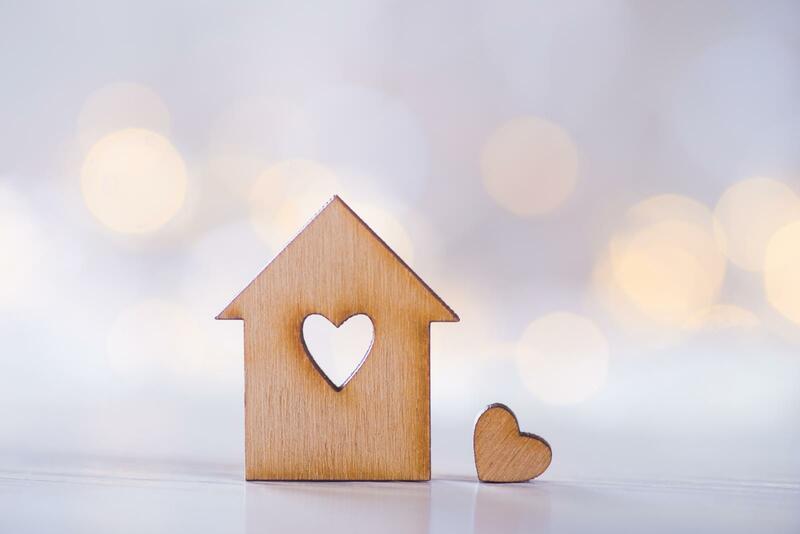 So, if you know that the time is right for you to buy, you may now be feeling the pressure to choose whether to buy a ‘starter home’ or a ‘forever home’. Possibly, this analogy could help: think of the first car that you purchased by yourself. Did you choose a compact sedan with good gas mileage, perfect for weekend trips and parallel parking in new cities? Or did you opt for a larger, safe SUV that can seat five with room to spare, complete with a maintenance package to keep it in great condition for many years to come? Both options are great choices, it just depends on what you are looking for, and what you are planning for your future. You can think of a starter home as a jumping off point in homeownership. When you buy a starter home, you probably don't intend to live there for more than a few years. However, with a forever home, you'll likely plan on living there for many years - maybe even for the rest of your life! When comparing the two options, have in mind how much time you intend to live in the home, and how that fits into your goals. Condos and small houses are a favorite starter home among first-time homebuyers. A smaller house is likely to fit your budget better, and if you're single or have a small family, a one to two-bedroom home may be all you need anyway. You can think of a mortgage payment as an investment in your future, and with every payment, you own more and more of the house. If you want to help increase the value of your starter home, consider making some upgrades. The key to home improvements in starter homes is to focus on those with a reasonable return on investment. Before you gut the bathroom for a complete remodel, consider making less drastic upgrades like replacing the tile and sink. Another thing to consider when making upgrades is to choose designs and materials that will appeal to most homebuyers. You'll want to save those personal touches for your forever home! Space for a growing family is one of the most common reasons to buy a forever home. A condo for a 3-person family might be okay for a while, but eventually, you'll want more space in case you add to your family. With your forever home, you can have a yard for kids to play in and a dining room large enough to entertain in. It's comforting to know that you won't be moving any time soon. You can settle in, make lasting friendships with your neighbors, upgrade your home just the way you like it knowing that this is your home to do with as you please. 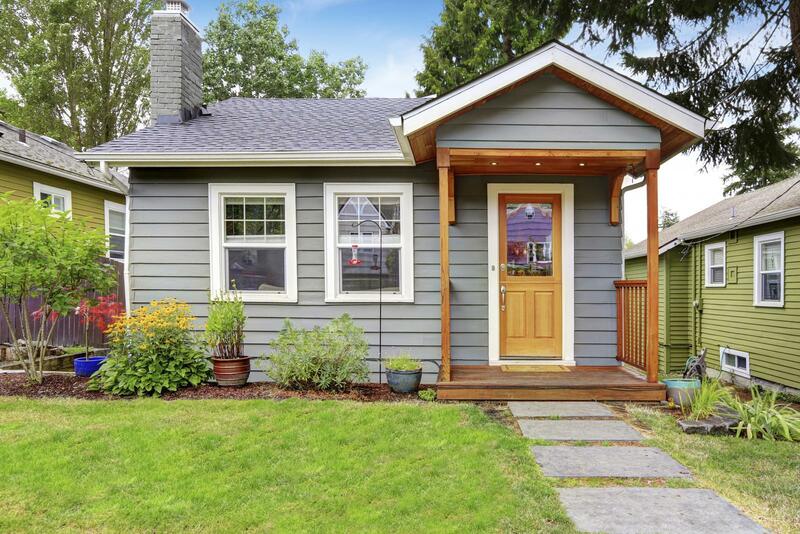 If you’re still not sure if you should buy a starter home or forever home, that's okay! The most important thing is that you get pre-approved for a home loan first. With Norcom’s JumpStart Pre-Approval Program with Rate Assurance, you will be able to lock your rate in, and have 90 days to decide on the right home for you to buy. 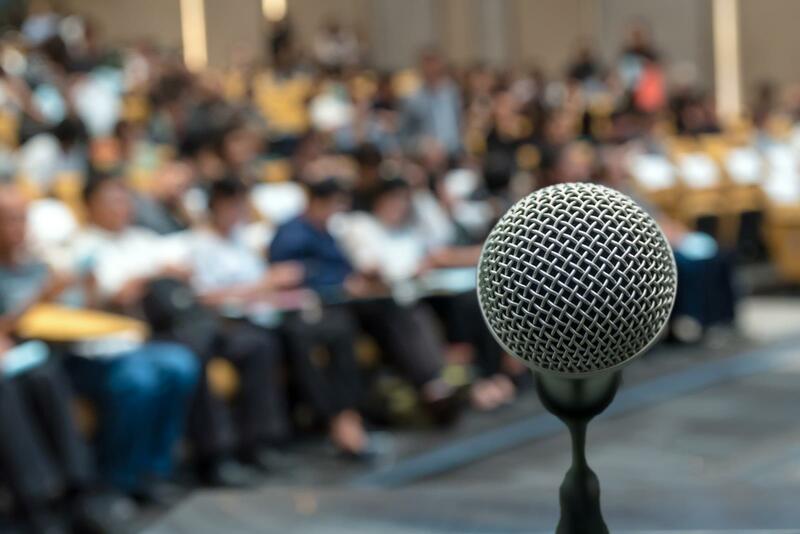 For many students and professionals alike, the thought of public speaking results in sweaty palms and shaky knees. How does one overcome this fear and deliver a fantastic presentation? First and foremost, practicing is of upmost importance. Make sure to rehearse your PowerPoint presentation or note cards several times, especially taking time to read through them aloud. You never know which word or phrase might get you tongue tied, and practicing beforehand could help prevent a mid-speech stutter. 1. The day of your presentation, don’t over caffeinate! People might mistake coffee jitters for nerves while you're speaking. Instead, opt for a glass of water to keep your speaking voice clear. 2. If you know that there will be time for a Q&A after your presentation, prepare the answers to potential audience questions. Try delivering the presentation for a spouse or friend, taking note of any confusions they may have. This can help you manage your composure, even if you are asked a tricky question. 3. If you’re not sure where to look while speaking, focus on a friendly face in the audience. You don’t want to be looking at your note cards, or even worse, your shoes, during your whole speech! Instead, before your presentation begins, scan the audience for someone who appears to be both attentive and receptive. That way, when you look up while speaking, you can look toward them for reassurance. 4. Remember to breath. If you are rushing and just can’t seem to get your words out, try taking a full inhale and exhale after each statement. You might feel that this will make your speech take longer, but in fact, it will help the audience understand you more clearly. This may even lead to fewer questions at the end! 5. Be yourself. If you have a funny anecdote to begin your presentation, share it! People will be more likely to connect with you and pay attention to you if they feel that they know you a little.